At Circium, we provide high-performance Linux VPS solutions to host your site or web-based application. We have four different plans to suit your specific needs. VPS hosting offers an alternative to unreliable web hosting and expensive dedicated server hosting. You get the best overall value, with virtual private servers (VPS) that deliver faster speeds. Our most popular package is managed through an efficient infrastructure, offering 1 TB bandwidth. We also have two packages providing 2 TB bandwidth for those that expect more traffic. Why Should You Use VPS Hosting? Our VPS packages are powered by kernel-based virtual machines (KVM). These virtual machines are used on top of high-end dedicated servers. We ensure that you get the tools and resources needed to keep your site or application up and running. 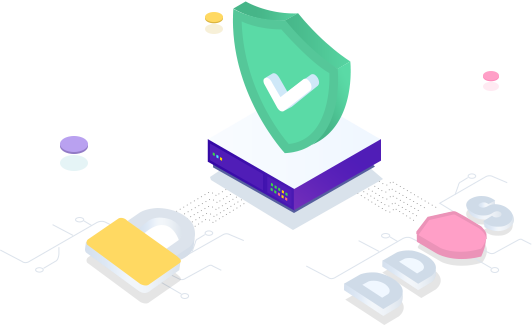 With Circium VPS hosting, you get instant provisioning. 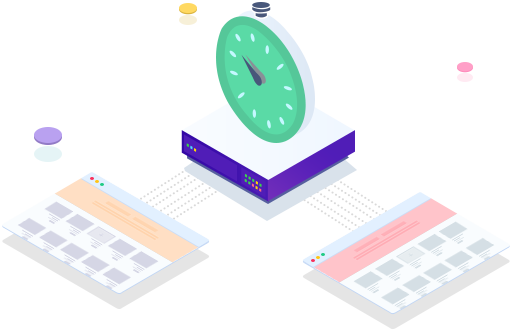 Thanks to the streamlined interface and reliable infrastructure, you can get your servers working within a few minutes after choosing a plan. With our automated installation process, cPanel is included on your newly configured Linux VPS server. 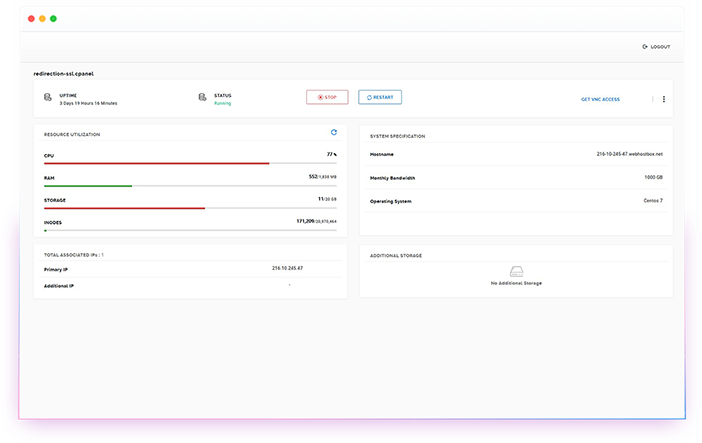 We also provide alternative management panels, including Plesk. The Server Management Panel is designed for ease of use. Anyone can start, stop, restart, or rebuild their virtual server using this simplified console. You also get root access, giving you complete control over the management of your VPS server. With VNC compatibility, gaining access to your SSD VPS is even easier. Use the remote connection to make changes to your configuration from any internet-connected device. We help keep your data secure, thanks to advanced DDOS protection. You can rest easy knowing that your website is monitored and shielded from cyber attacks. DDOS attacks and other cyber attacks are becoming an increasingly common problem for businesses of all sizes. We strive to ensure that all servers are protected from these threats. At Circium, we are always standing by to respond to your technical issues, inquiries, and questions. You can contact us via email, phone, or support ticket. We also provide semi-managed support. Allow us to help manage login related issues, firewall setup, OS updates, and reverse DNS setup. We can even help set up and reinstall your KVM VPS. VPS hosting provides a faster, more reliable web hosting solution compared to shared hosting plans. No matter how much bandwidth gets used by other users, your VPS server is unaffected. We provide full root access. This allows you to install any applications that you require to run in the background. VPS options also provide guaranteed resources. The CPU, RAM, and bandwidth that get allocated to your hosting plan are always available. Can I Upgrade or Downgrade VPS Plans? Unfortunately, upgrade and downgrades are not available. However, we can assist with the migration of services to a new plan. The only upgrades that are supported include upgrading from a lower SSD VSP plan to a higher SSD plan. What Support Solutions Do You Offer? 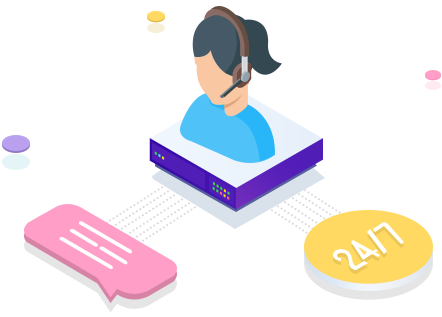 We offer a wide range of support services, including setting up your firewall, configuring your KVM VPS, and updating and patching the core OS. Other support options include investigating network or hardware related issues and performing reverse DNS setup. Are Dedicated IP Addresses Available? Yes, we offer dedicated IP addresses for an additional cost. Contact our support team to add a dedicated IP to your VPS server with cPanel. How Can I Start Setting up My Website? If you are ready to enjoy the advantages of a VPS server with cPanel, the next step is to select the right plan. At Circium, we have four separate packages to fit any budget. We also provide discounts when you pay for a year upfront. Compare the four plans and get your server running within several minutes. Configure your package today or contact us at Circium for more information.